The village of Ninstints (Nans Dins) is located on a small island off the west coast of the Queen Charlotte Islands (Haida Gwaii). 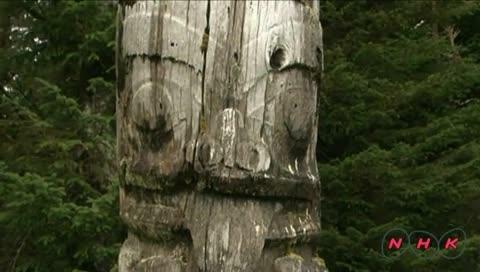 Remains of houses, together with carved mortuary and memorial poles, illustrate the Haida people's art and way of life. The site commemorates the living culture of the Haida people and their relationship to the land and sea, and offers a visual key to their oral traditions.